Is it safe to use the output from here to drive the Pi by cutting a USB cable and connecting the power wires to the terminals? 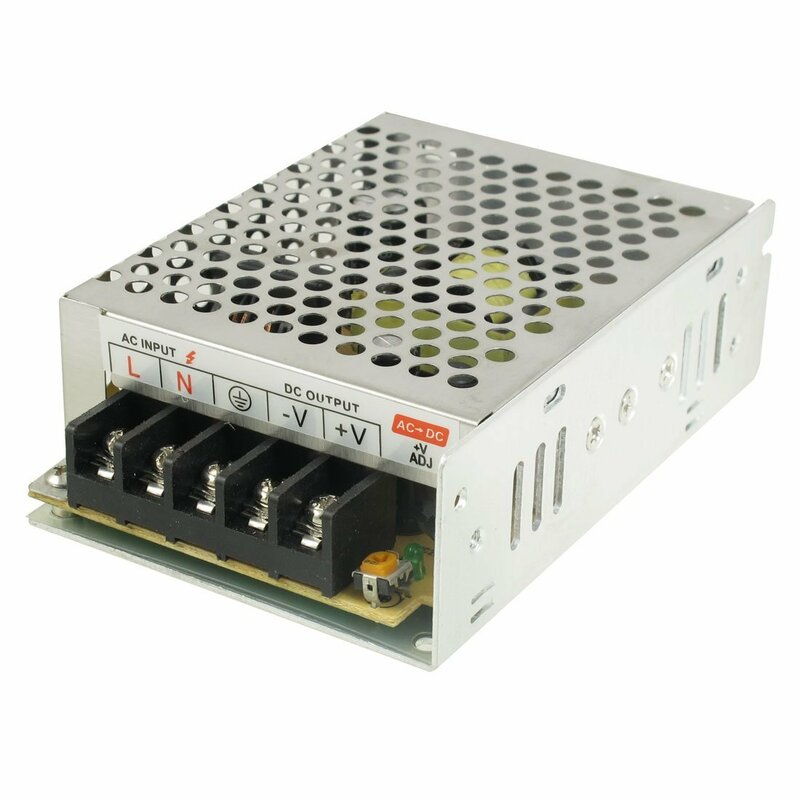 I am already using this power supply to power a set of LED lights (similar to these) and I want to avoid needing an extra power supply just for the RPi if I can help it. Is there anything in particular that I need to be careful about when doing this, other than accidentally crossing the wires? I have used a 12v version of this and then used a linear regulator to drop it down to 5v. It worked fine for driving the Pi but because it is a switched mode power supply the output is quite "noisy" and even putting it through the linear regulator I still had the noise. I was using the Pi to switch camera outputs and the resulting picture had lots of lines of interference on it. Kind of overkill, but as long as it is 5v it should work. And skip the USB hack. Power through the GPIO connections. Edit: The USB hack will work. I just think the GPIO pins are easier to connect to. How can I power/control a 14v light from the Pi GPIO?